In this article, first, we would like to discuss some broad issues: The outside world enter to your home and office network with help of a cable or broadband router, so how much secure you are? and what steps you need to follow to make increase the security of your WiFi or standard routers. What is the use of the router? The router is very important because it used to connect one network to another network. For example our home network connection to the outside world that provides by your Internet service provider(ISP). 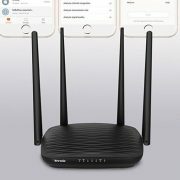 In fact, most of the people think that the router which is in their home is just a small box for an Internet connection but think again because it can do much more than we think. Like “Routing” which is just like it sounds. The routing allows different devices such as computer and smartphones on the network to find a path to send data to a computer on an external network – when you receive the data, and vice versa along internal communication between two devices. Among other functions of the router, most of the time it is also used as a modem. Most of us connect to the Internet via a telephone line – whether it’s a cable or a standard phone line – although the latest trend is to connect to the home via the mobile Internet. When you connect via a telephone line, the data signals which send by the computer are in digital form but our telephone line works on analog signals; so the work of our modem in the router is to convert them from digital to analog and vice versa. You can say it is a kind of translator. For those who remember the “dial-up” era of the past, it is the small box on the side of your computer that makes a harsh sound for surfing the Internet. But routers can do a lot of things, sometimes a lot of things, including traffic logging, as a wireless access point, providing VPN functionality for external access to your intranet, Parental control to limit the access of childer to the internet, firewalls, and more. Today’s home routers are getting more and more complex to handle more operations and security tasks. You will ask, is this important? Yes, it is. If someone can access your network, they can easily attack your laptop, phone, network devices, and more. They can access and delete unprotected personal data, host illegal files like malware to steal your banking information and more. Basically, such an intruder can do all bad things you can think of because we all are connected with each other via the internet in the era 21st century. Fortunately, today’s routers tend to be set up by Internet providers. The implication is that you can forget about its existence and they will guarantee that it is running well and safe. So really we are safe? 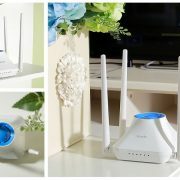 Internet providers’ routers are getting worse and worse, and they are the preferred target for malicious attackers: if they know that a particular cheap model of router is being installed in your home, it’s easy for them to find the loophole and initiate the attacks. Routers are very valuable to the hackers. The process of fixing bugs or vulnerabilities is slow. Upgrading the firmware may result in higher costs for the Internet provider, so the repair process can be very slow (if they are going to fix it). Generally, after installing the router we totally forget it. And in case the router companies, somehow send the update, we hardly get to know unless and until you are not going to access the GUI Admin management interface of the Router. It’s very easy to get or default administrator password, which means that the attackers don’t even need to find the real vulnerability – they can log in to the router easily. Now the question is how can we improve the router security? Here is a list of things need to follow in order from simple to complex. Before you make any changes to the router, you need to save the configuration data so that you can roll back them when you need them. Password: must, must, must change the administrator password of your router. You may rarely use it, so you must record your password somewhere. It is used very rarely, you can consider pasting the password on the router because the router is usually placed in a place where only authorized people (you and your family 5) can be reached. Allow only administrators to access from within. 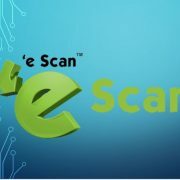 Don’t allow an external computer or machine the admin access of your router unless and until you have good reasons and you know how to do it. Also, refrain your self from saving the router password on your computer system browsers. Once you have done the second point, also make sure that the WiFi password on your network – whether it is set to your router management password or something else – must be a strong password. For simplicity, set a “friendly” simple password for the visitors who connect to your network, but if a malicious person nearby guesses the password, the first thing he does is look for the router in the network. Since he is on the internal network, he can access the router (hence, point 1 is important). As I mentioned above, modern routers have a variety of cool options. Do not use them. Unless you really need them, and you really understand what they do, and what is the danger of opening them. Otherwise, it will increase the risk of your router being attacked. Replace the router that your Internet provider has given you with a better router. Go to your local computer store and let them give you some advice. There are many modern routers those cost you a lot but if you do a search you will get a cheap router which is better, more powerful, and safer than you have now. If you have enabled the WiFi connectivity on your router then to secure your WiFi from brute force attacks use the use the WPA2/WPA mode. This will implement the latest version of AES encryption. If possible then refrain from your self from using the WEP mode which can be easily cracked by the hackers. 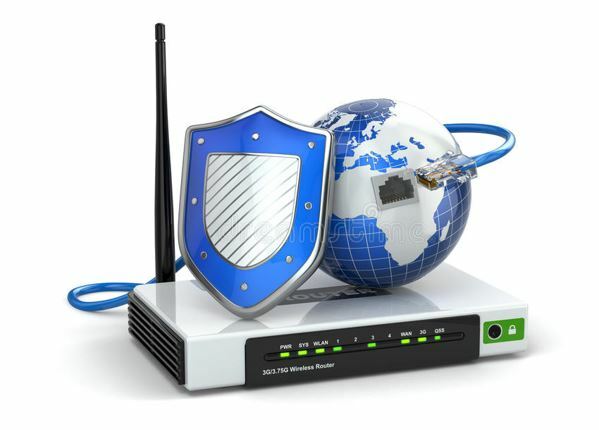 Most of the modern routers come with protections features such as a firewall that keeps eye on your incoming and outgoing data and after scanning them if it finds any suspicious elements that appear illegitimate and vulnerable, blocked immediately. The firewall router has features like SPI when enabled allows the data after examining its legality. By default, the firewall is enabled in the routers but it is good to check it once. I like to use the latest features, but usually, this is not easy. Sometimes a warning for firmware updates will appear on your router. Most of the latest routers will automatically check and prompt you about the available when you log in. But the problem is if the updates get fail you might lose your router configuration data is lost, you will need to re-enter it. However, you must need to consider continuing to focus on firmware updates that fix security issues and update them. There are some very good open source router projects that you can use on existing routers to replace their firmware/software with open source software. You can find many of these projects on Wikipedia. But before proceeding for open source be cautious because this will make your router lose warranty, but if you want to really control your router, open source is always the best choice. So, to implement this point you need to be a bit geeky. After following all the above points you can make your router and internal network secure but what about other things like IoT devices such as Alexa, Next doorbell, malicious apps, downloads etc. 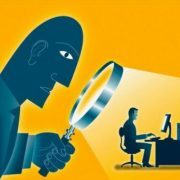 You don’t know who is the bad guy looking to breach your privacy and steal information, So, at the end of the day its all in your hands to look after these technical devices and software to make sure you are safe. What is Powerline Ethernet Adapters? How do they work? What is the difference between WLAN and WIFI?